Still new in the box & has never been used. 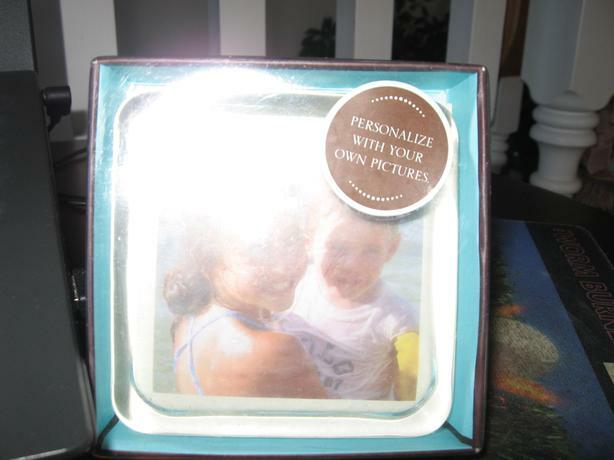 Choose a photo & cut to fit into the recessed shape of the paper weight. Leave the glue edge exposed for the velvet backing to adhere to. Then place photo face down in the recessed section and peel paper backing from the velvet & apply adhesive side down to back of paper weight. Press firmly around edges to ensure a secure fit to paper weight. Enjoy! Originally $16.50 plus taxes.